Hi everyone. 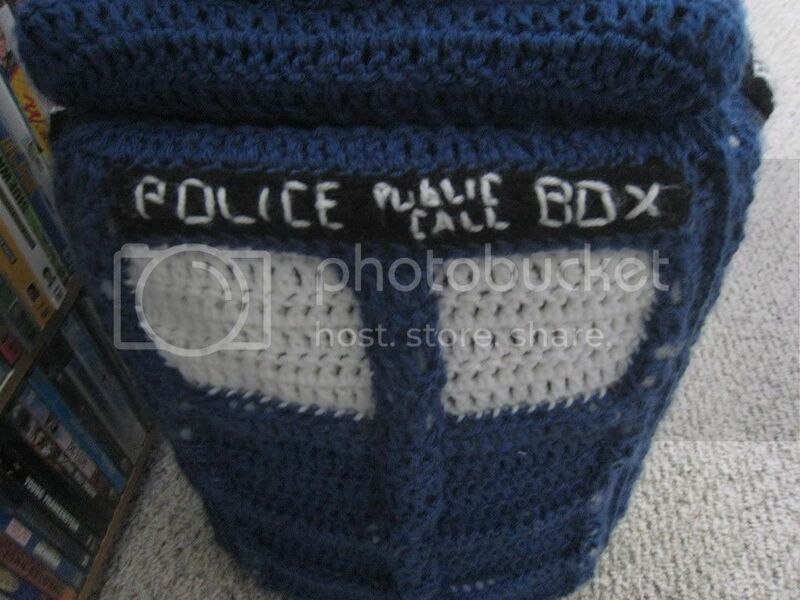 I'm finally back with a follow-up to my dark mantle... for your consideration, I present, the crochet Tardis. 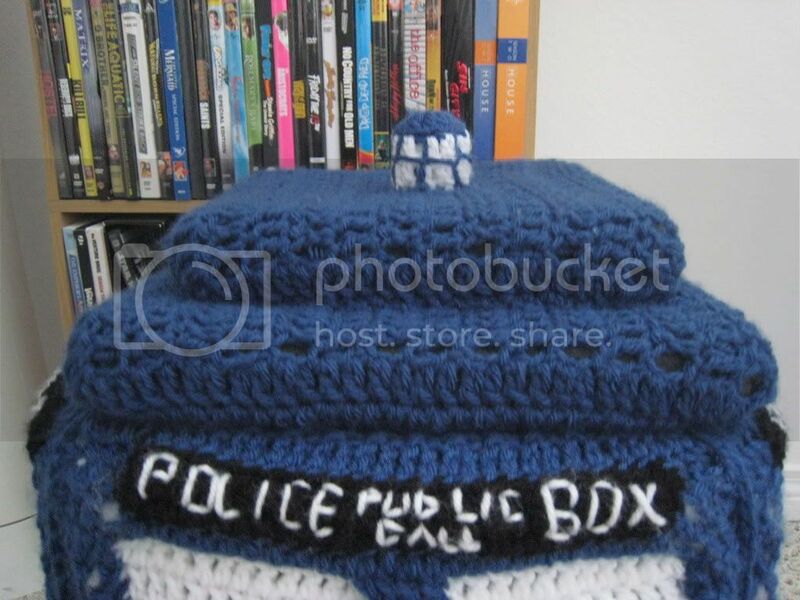 Now for a little back story, at some point after Thanksgiving, a professor approached me with an interesting challenge: crochet a Dr. Who-themed item as a Christmas gift for her husband. I very rarely accept commissions, but an open ended challenge like this intrigued me and, given the time restraints (she was leaving the country for Christmas, so I had less than 3 weeks- 2 weeks of which were grad school finals ), I knew it would be a fun challenge. So here is the product of my labor. Now I have many problems with this final project, but I'm working on a second one to redeem myself. One of my main problems with this final product is that the windows remain unfinished; I try to be a miracle worker, but something had to give on this project and the windows were sacrificed in order for Santa to deliver this on time. They have assured me over and over again that it's ok, but I can't help my self-loathing. ANYWAY, enough babbling. I hope you enjoy the pictures and if there is enough interest, like with my previous work, I can post a pattern . Thanks!! 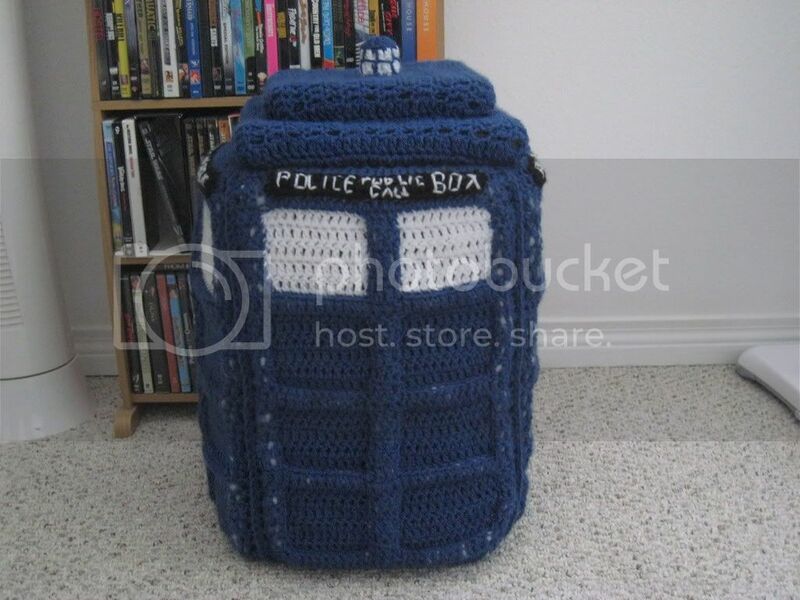 The Tardis. If you notice the DVD shelf in the background you can get an idea about the scale of the project. Tiny hats always beat big ones. Wow. Just wow. I would love love love the pattern if you felt so inclined to make one and post it. This is just TOO AWESOME. I need to own one. Wow. OMG!! 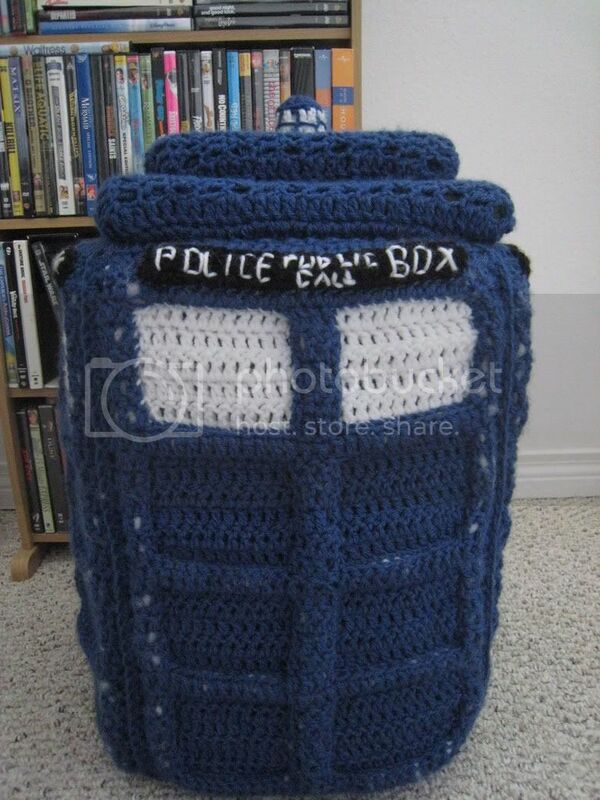 That has got to be the BEST Tardis I've ever seen!! 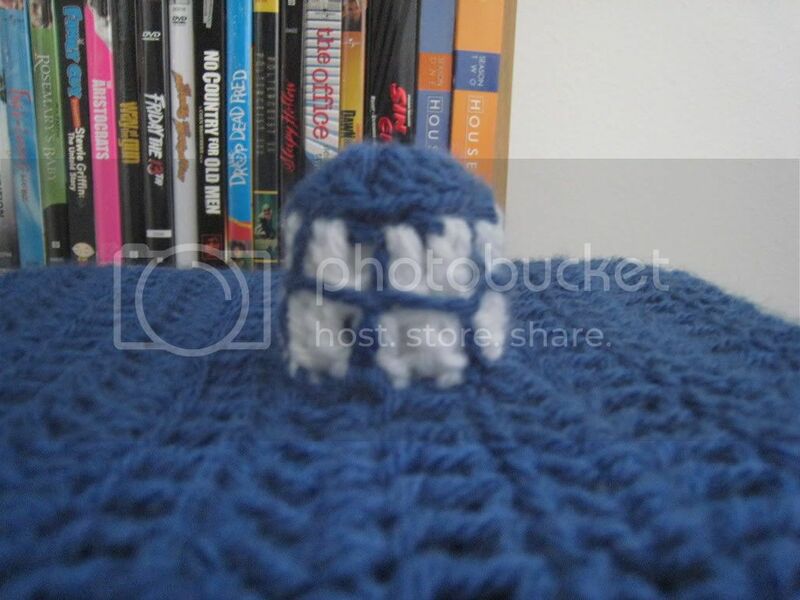 I have got to make one! 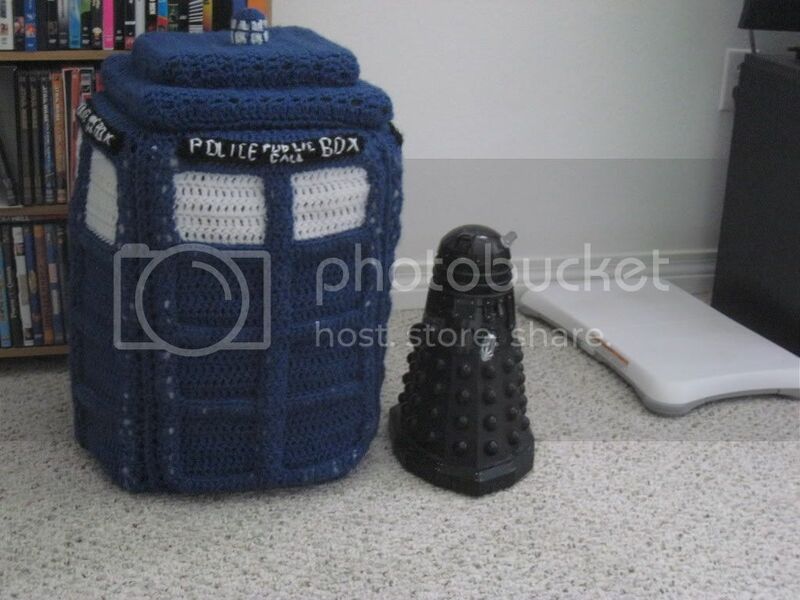 My children and I are all Dr. Who fans and that looks like it would be the right size to cover one of the icing buckets they use in the bakeries! 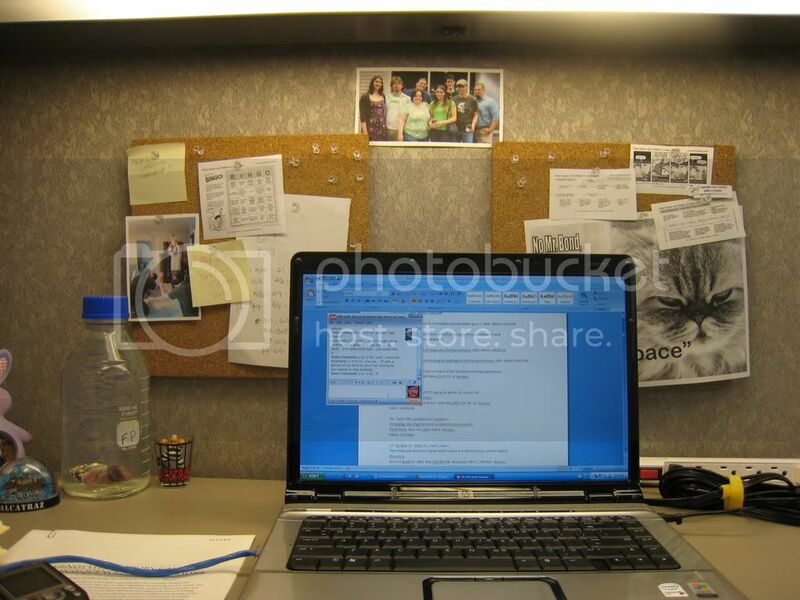 Great work, you have been rocked and wisted! 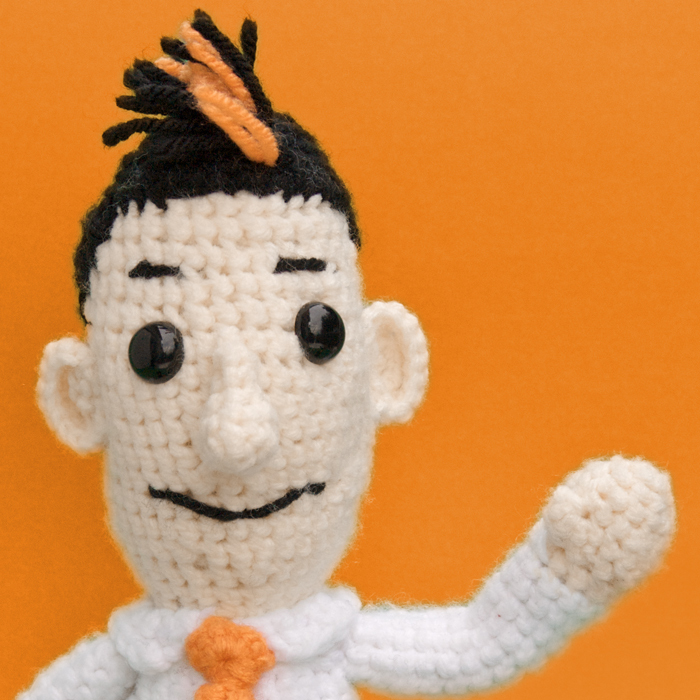 Who needs Wii Fit when you have time-constrained epic crochet projects to keep you on your toes! Awesome work! This is the coolest! 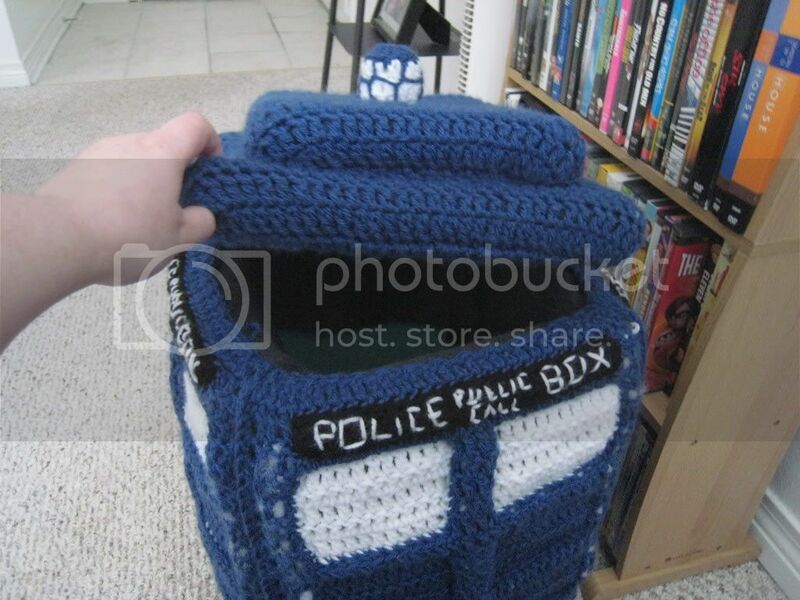 You and your tardis are totally awesome! Hitting this rocks!